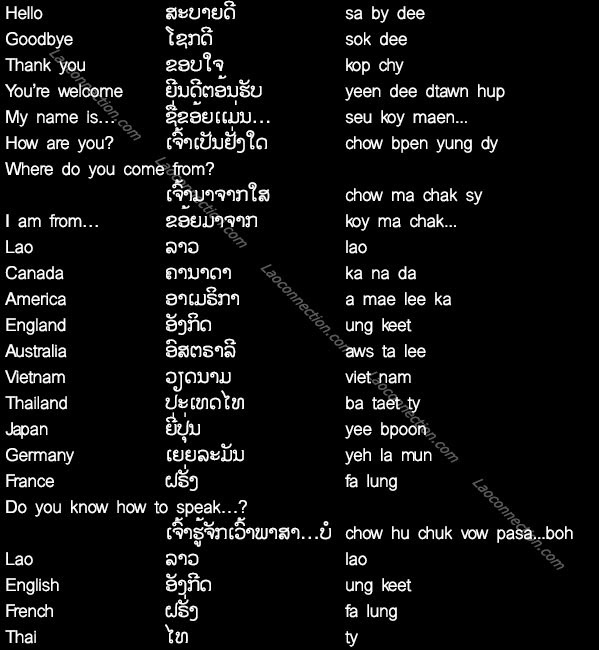 Here are some basic Lao phrases written in English, Lao and phonetic English sounds. In the phonetic sounds, I've spaced out the syllables and words within the phrase. However, when you read or say it, be sure to do it with flow and no breaks as though it were one word.